People familiar with Kannada Adige or the cuisine of Karnataka know that the recipes and style of cooking are widely different across its different regions. 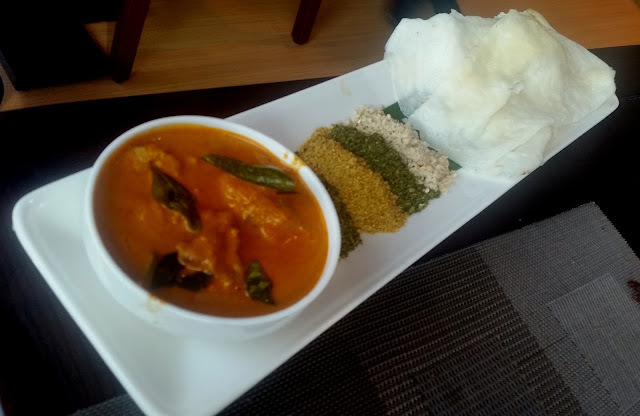 Possibly no other state has such variations in their food, ranging from Karwar cuisine in the North, the vegetarian food of the Udupi Brahmins, Karavalli food, Kodava cuisine of Coorg to the Bisibele Bath of Bangalore. 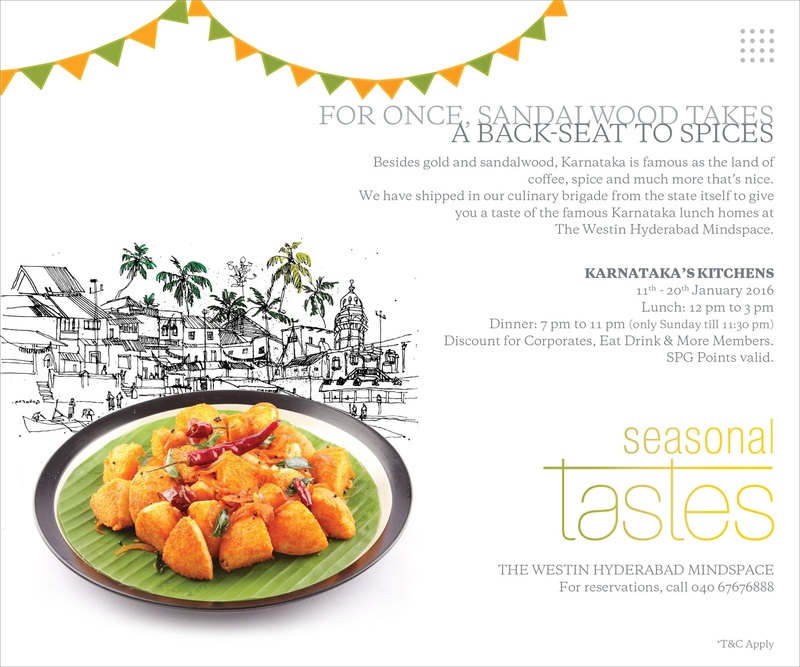 The Karnataka’s Kitchens promotion at Seasonal Tastes restaurant of the Westin Hyderabad aims to present this diverse cuisine to the Hyderabadis. The best person to explain the cuisine to me was Chef Manjunath of Sheraton, Bangalore who is here especially for the festival. Chef explained that each region of Karnataka merits a food festival on its own. In this festival, he has curated select recipes from each region to provide an overall picture of Karnataka cuisine. The items are part of the usual buffet at the restaurant, which also has the regular oriental and continental dishes. To make sure that the promotion items are easily identified, the festival logo has been put on the tags of these items. 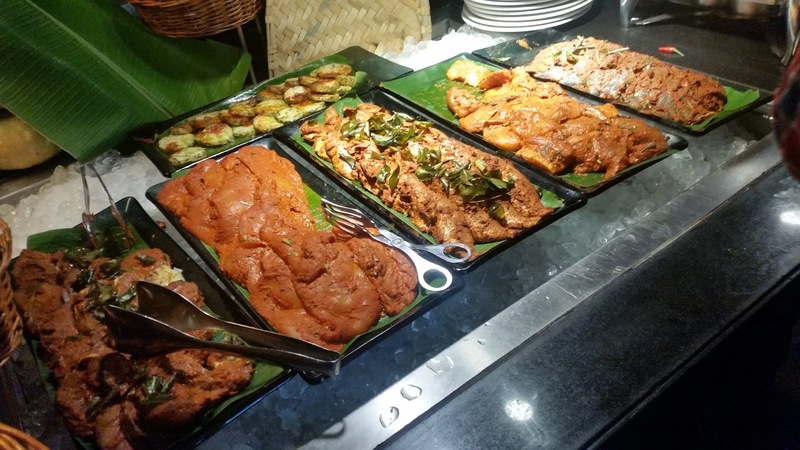 The lunch buffet at Seasonal Tastes is arguably the most popular buffet in Hyderabad. I have always found quite a crowd here during lunch hours and today was no exception. The live counter was looking specially inviting with a variety of fishes marinated in inviting masala. At another counter Neer Dosa was being prepared. After a recce of the items from Karnataka in the buffet I settled down with the vegetarian soup Tarkari Saru. A slightly tangy preparation, the soup had the earthy flavor of vegetables. Soon some delicious fish and chicken starters were served on the table. As Chef Mukesh, Sous Chef of the Westin Hyderabad explained the marinade for the starters varyies in the Karavalli belt, with use of different ingredients like lime, tamarind or vinegar. Though red chillies are used in coastal cuisine, it is not as prominent as in Andhra recipes. 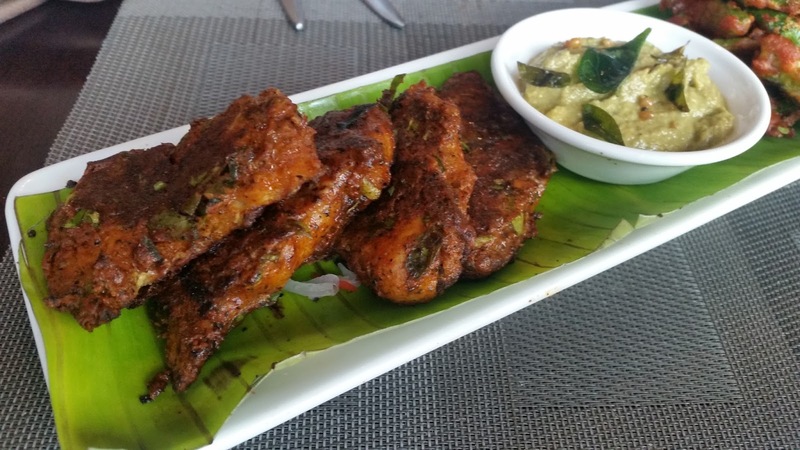 Karavalli Fish Fry, a grilled fish preparation and a chicken based starter stood out among these. A sweetish chutney served with it made it even better. For vegetarians, there was a cauliflower dish which was coated with masala and fried which grabbed my attention. 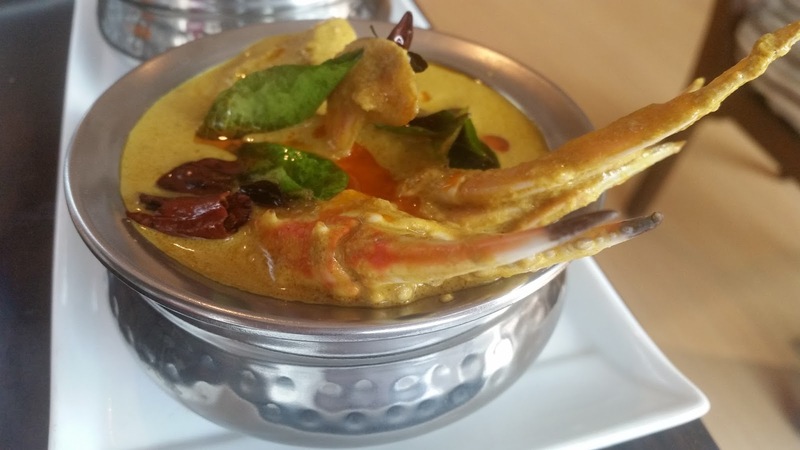 The next items I tried was from Dakshin Kannada – the combo of Kori Gassi and Neer Dosa. 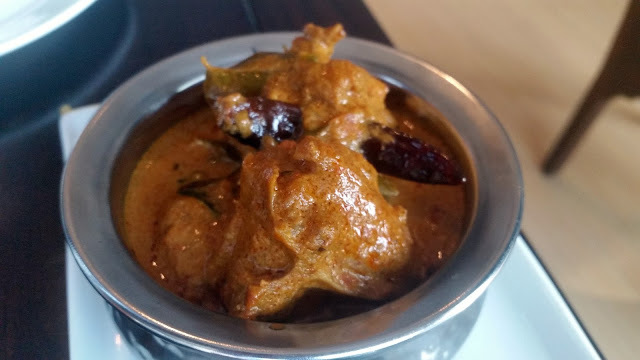 Kori Gassi is a chicken curry recipe of Bunts in the coastal belt and the coconut milk based thick gravy was as good as some of the best I had tasted in Mangalore. The Neer Dosas were soft and a perfect foil for the spicy gravy. Also of note were the variety of podis served with the dish, presenting almost all the five tastes. 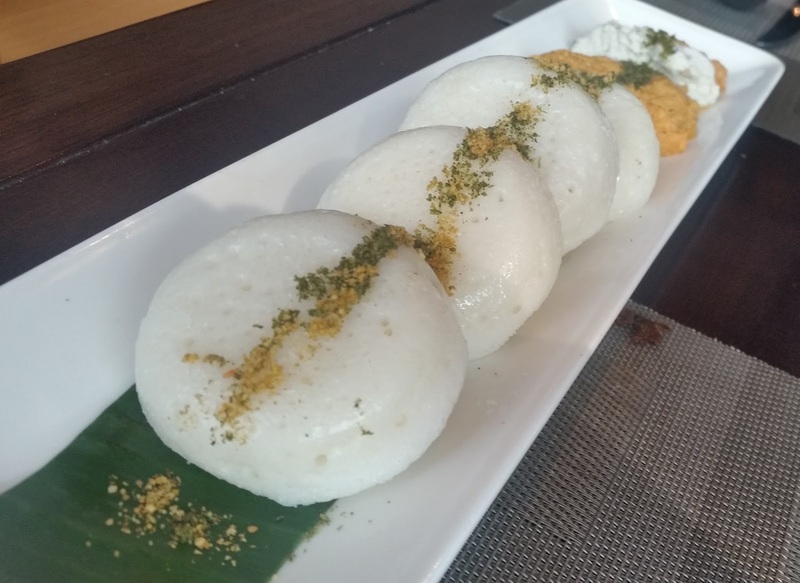 Sannas or steamed rice cakes are coastal favourites again – here they were served with different chutneys and a vegetarian curry as accompaniment. Each of the chutneys had a unique taste. People close to me know my love for chutneys and I could possibly have a full meal here with only the chutneys with some carbohydrates. 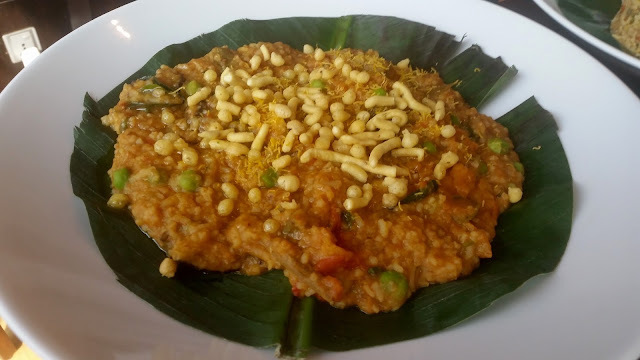 Over to some rice dishes, and it was time to taste the famed Bisi Bele Bath of Bangalore. The tangy and sweet Karnataka khichdi was delicious as ever. 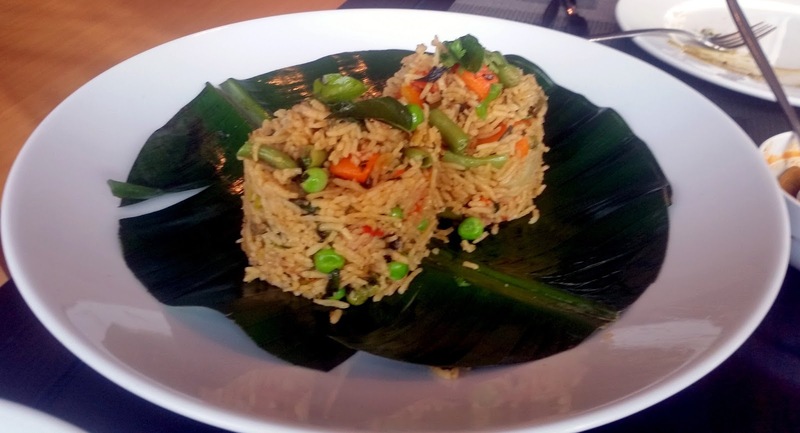 There was also Udupi Pulao – a rice preparation with carrots, beans and peanuts. An assortment of vegetarian items was served with these. 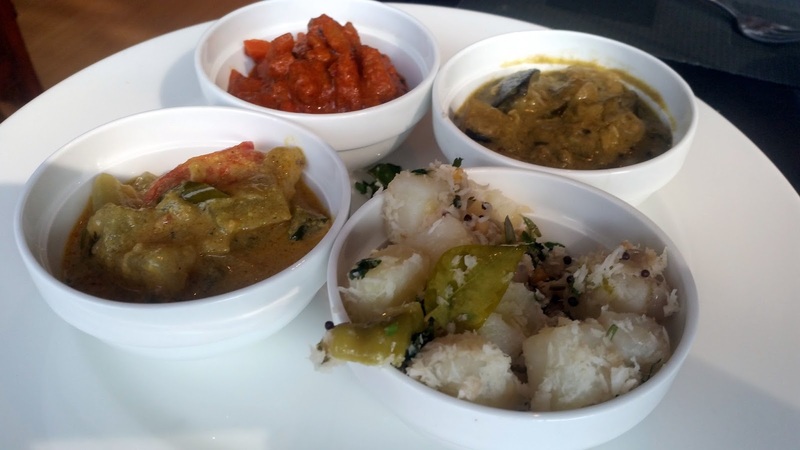 Each of the veg items was completely different – the potatoes cooked in coconut was very good, but my favourite here was a brinjal based gravy preparation. While checking out the buffet the Karavalli Crab Curry looked good to me, and on tasting the tamarind and coconut based curry was even better. The rice flour based Akki Rotis went perfectly with it. The ghee soaked Ragi Roti was another one which I liked, this time with the Mysore Mutton Curry, a gravy preparation with coconut milk and poppy seeds. At this time, the Chef specially recommended that I try out the Majjige, a spicy chaas or butter milk with green chillies and curry leaves which serves as a digestif. 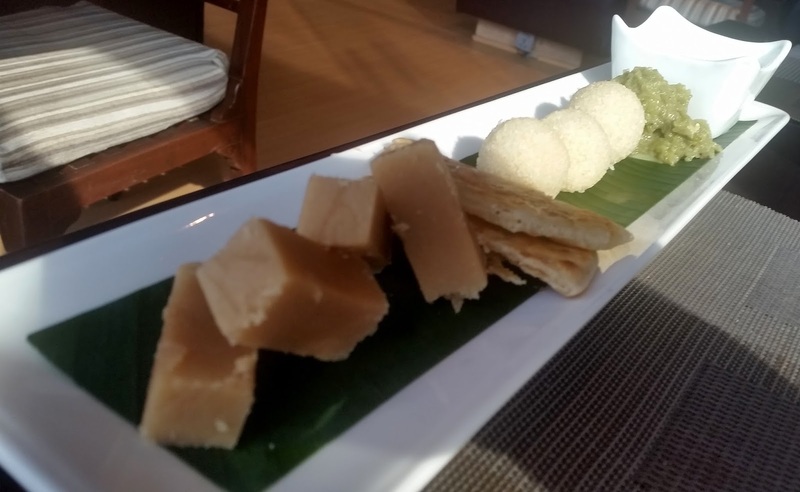 The dessert platter had a range of sweets from Karnataka. I particularly loved the Khus Khus Payesam for its mild sweetness and the Rawa Ladoo which had a lot of coconut in it. There was a green coloured kaddu halwa which was also nice. And of course, the redoubtable Mysore Pak could not be missed. 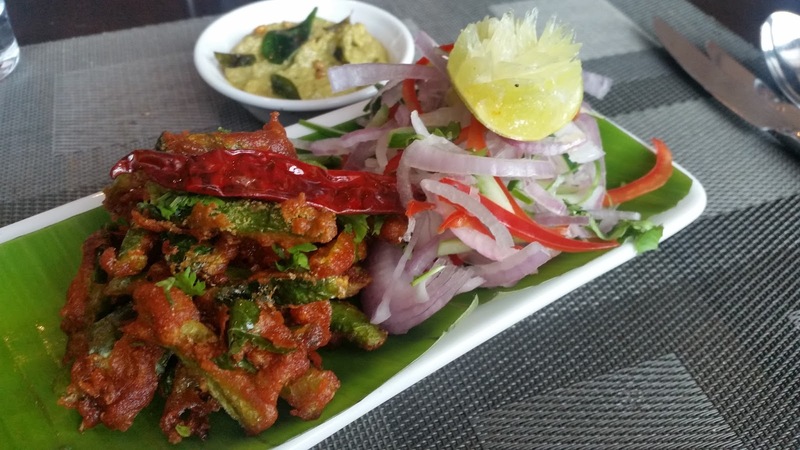 The promotion presents all aspects of the divergence of Karnataka cuisine. The recipes have been carefully chosen keeping in mind a complete culinary experience for the food lover. For example, as mentioned earlier each of the vegetarian dishes on the day tasted widely different from the other. Such careful planning is what makes a festival successful. The promotion, as part of the usual buffet at Seasonal Tastes, is on till 20th January for both lunch and dinner. Price are Rs 1250 (plus taxes) for lunch and Rs 1470 (plus taxes) for dinner. Nice clicks.. food looks yummy!!! Amazing its look so yummy!!! What a spread of kannada adige. Awesome food photography, as always.